The large Champagne Cork looks like it’s just been popped from a giant bottle of champagne! These pieces of furniture are available in 3 different styles, Champagne, Wine and a collection of corks in the shape of a Wine Cork! They look fantastic in a bar/bistro environment but equally as good in a wine cellar or conservatory. Also available in this series is a matching Champagne Cork Ice Bucket / Cooler with the matching ‘Grand Vin de Champagne’ printed on the base. 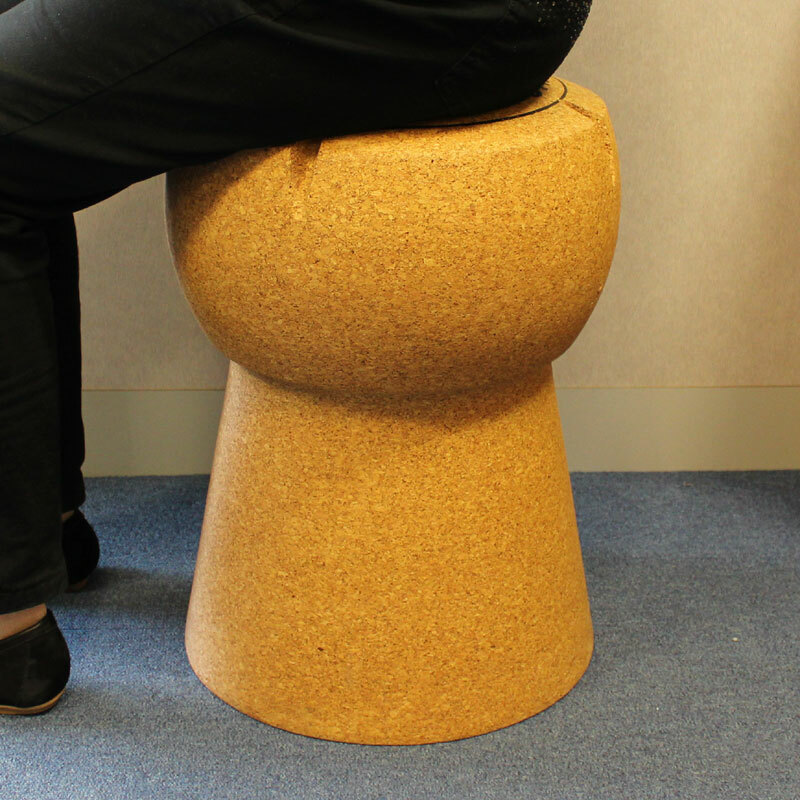 This solid cork stool is available plain and printed (see separate image for artwork). A fantastic product made to a high standard. Looks absolutely fantastic and was a wonderful gift to give. Brilliant quality - better than I expected and I absolutely love it.